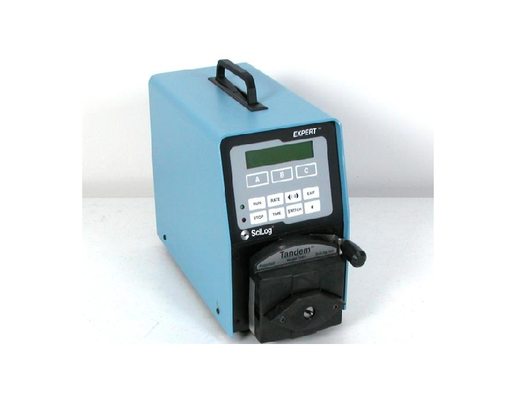 We offer an assortment of refurbished and used Cell Counters and Particle Counters as well as Particle Sizers. Some of our leading manufacturers include Beckman Coulter, Roche and Malvern. 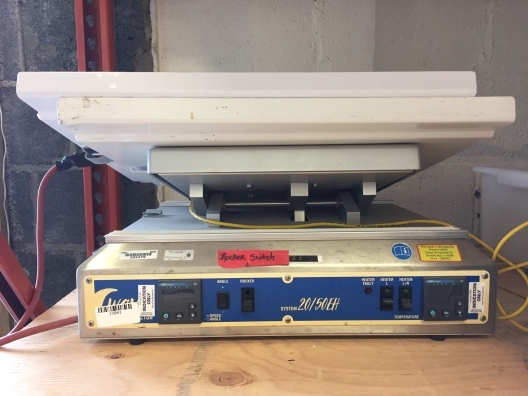 This item is new to the Cambridge Scientific Used Lab Equipment Inventory. As a result, a product description is currently unavailable. For further information about this product, please inquire and a representative will contact you shortly. The WAVE Bioreactor system has been used extensively for monoclonal antibody production. Culture can be started at low volume and then fresh media added whenever the cell count is sufficiently high. This enables inoculum scale up without transfers. Batches ranging from 100ml to 500L have been run with cell densities over 10x106 cells/ml and productivity and product quality comparable to stirred tank bioreactors. Dissolved oxygen concentrations are not limiting and remain above 50% saturation. Agitation in the WAVE Bioreactor system is powerful enough to mix and aeratethe culture. Yet it is gentle enough to cultivate anchorage-dependent cells on various microcarriers. The wave motion prevents setting and provides oxygenation without bubbles. The WAVE Bioreactor system provides a closed system that is ideal for virus production. In a gene therapy application, human 293 cells have been grown in suspension and then infected with recombinant adenovirus. Cells grew to 4x106 cells/ml and virus production was 1x105 virus particles/cell. The WAVE Bioreactor system produces viruses under complete containment without the need for biosafety cabinet. The high oxygen supply capability of the WAVE Bioreactor system makes it ideal for insect cell culture.Cell densities over 9x106 are routinely achieved. Baculovirus yields are higher than with conventional bioreactors. The WAVE Bioreactor system is extremely easy to operate and inoculum scale-up and infection can be done inside the bioreactor, reducing the need for transfers. The ChemTec provides programmable feed scheduling for chemical reactors, bioreactors and fermenters either by weight or volume. Both linear and exponential feed strategies can be readily implemented. 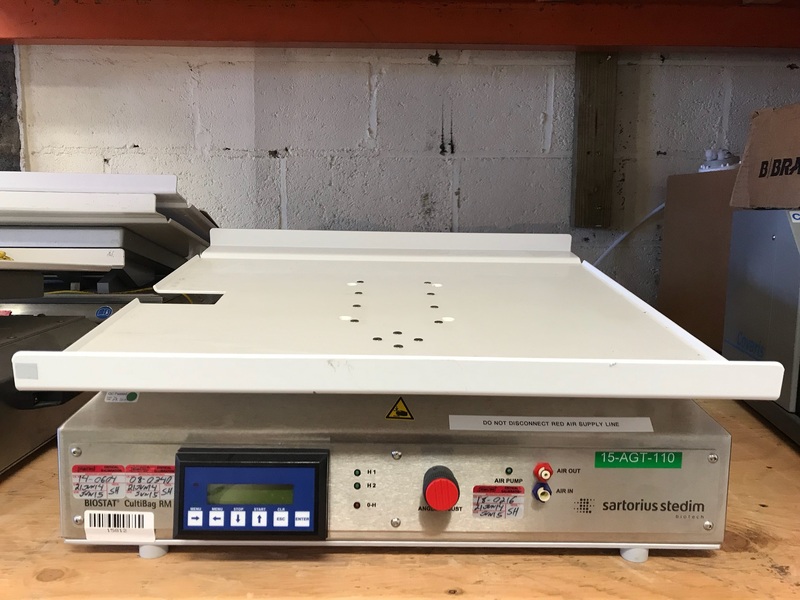 When interfaced with an electronic balance, the ChemTec can also be used to maintain vessel or reactor weight in diafiltration or perfusion applications, it can also act as a pH controller for pH maintenance or simple end point titration. 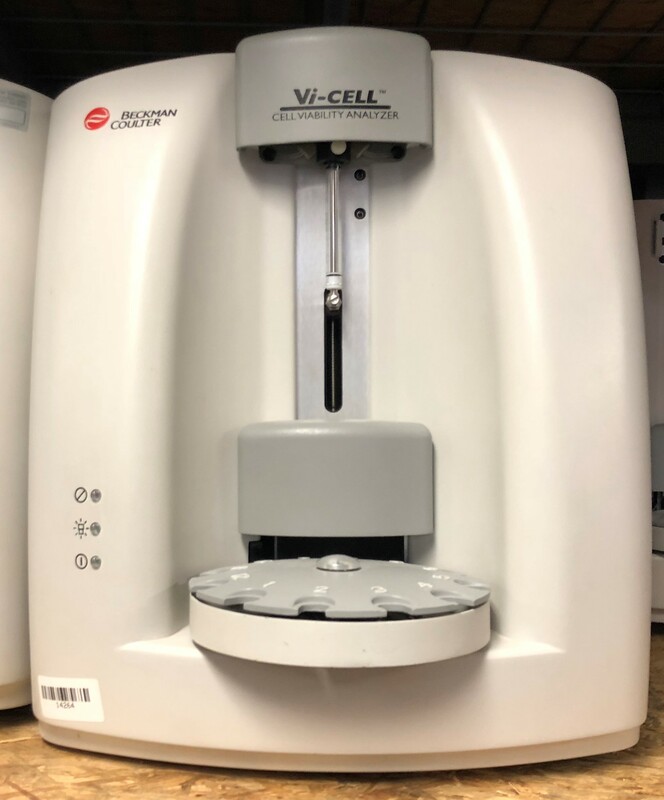 The new Vi-CELL Series Cell Viability Analyzers provide an automatic and cost effective means to perform the trypan blue dye exclusion method. This data is essential to the decision making process for basic tissue culture cell passage and maintaining optimum culture conditions in bioreactors. 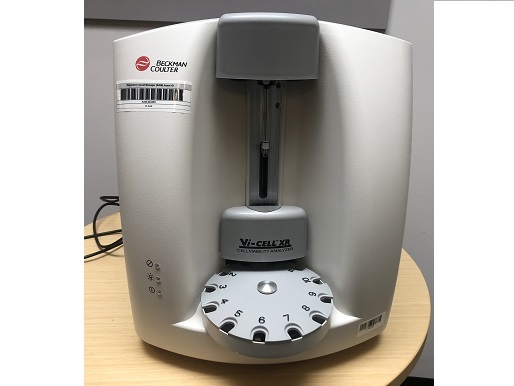 Cell and tissue culture applications in life science research, including recombinant protein and biopharmaceutical production, require the accuracy, precision and automation available only in the Vi-CELL cell viability analyzer. The Vi-CELL automates the widely accepted trypan blue cell exclusion method. Historically, cell viability determinations were performed manually using a light microscope and hemacytometer. This technique has major shortcomings due to subjective determination of cell count, as well as manual, time consuming steps. In comparison to the manual technique, the Vi-CELL automatically performs the trypan blue with video imaging of the flow-through cell. Results are obtained in minutes. Extended size range to 2 microns, allowing additional analyses of yeast, and smaller cells. Increased sample throughput with greater efficiency. Reduced sample volume results in less reagent use. Auto focus capability increases instrument ease of use. Variable aspiration and mixing cycles optimize results. Enhanced image magnification provides unparalleled cellular detail. Circularity measurement helps isolate debris from cells.